Have you heard? After a heart-wrenching two year break, our favourite show is back for a fifth series! 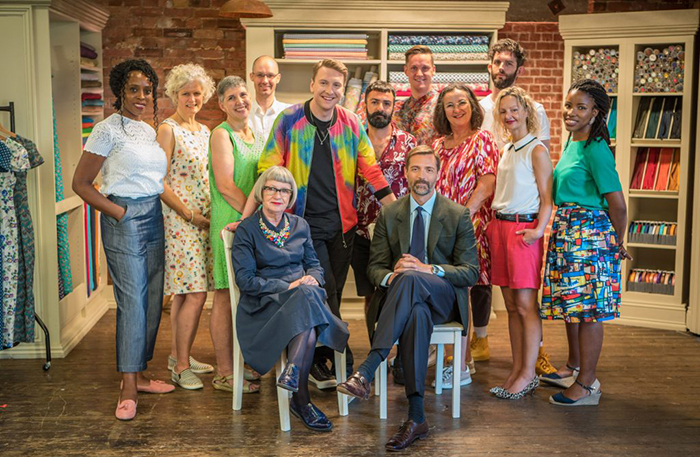 Tonight we’re settling in for the Great British Sewing Bee! Tune in this evening at 9pm, BBC2 to meet the new daring team of amateur sewers, and of course, indulge in a bit of Patrick swooning! 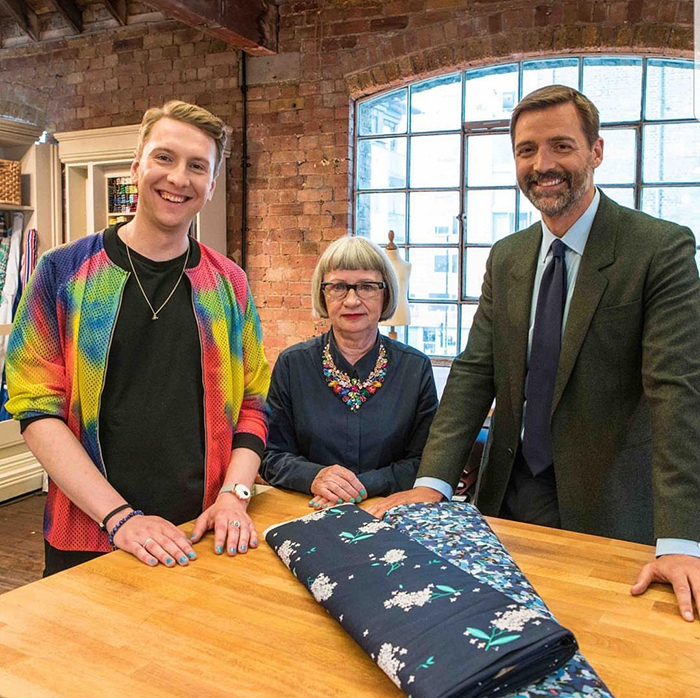 This year the Sewing Bee also welcomes a new presenter, the hilarious Joe Lycett. We can wait to see what he brings to the sewing table. So what’s happening in week one? In tonight’s show the contestants are being eased in gently with three cotton-based challenges. We say they’re being eased in gently, but the first pattern the contestants are tackling is a Dior-inspired wiggle dress! Eek! As big fans of vintage style, we’re so looking forward to seeing what they come up with. In this segment the contestants have to rework existing pieces into a new garment, in what feels like no time at all. This week they’ve got 90 minutes to transform old denim into a new stylish, wearable item. The third challenge is always our favourite, with the contestants sewing clothes for real people. We’re so excited to hear that tonight it’s all about jumpsuits! Getting the perfect fit on a jumpsuit isn’t easy, with length through the body being the most important factor. (If you’ve ever experienced a too-short jumpsuit, you’ll know what we mean!) If you feel inspired to have a go at a jumpsuit, our Poppy Playsuit makes a great starting point! Will you be watching? Tune in at 9pm!